We have over 20 years experience designing, building, and installing in both residential and commercial spaces. We will design an affordable custom storage solution for any room in your home. We offer a variety of wood finishes and accessories that includes many styles of doors and drawer faces, handles, and more! We are locally owned and operated! We work with you during the entire process: from setting the initial appointment to measuring your space, verifying storage inventory, and determining which type of storage system works best for you. Our personalize service continues through the install. We have a genuine interest in you. Organizational Logistics is an organizing + decluttering + design company that offers personalized services and is run by Abby, a professional organizer. We will guide you through achieving all of your organizational goals. Whether that includes physically moving items, hands-on organizational training, supply shopping, or simply creating well thought out lists, we will teach you the skills you need to take back your space. Free In-Home Consultation & Design! America's #1 Murphy Bed Store also offers: Custom Closets, Home Offices & Media Centers; as well as Garage, Laundry & Pantry Systems. More Space Place® is the nation’s largest retail franchise chain of wall bed and closet systems with 40 locations throughout the United States. More Space Place retail stores sell a collection of space saving furniture for every room in the home, including Murphy beds, wall beds, panel beds, wall units, entertainment centers, home office work stations, closet and organizational systems, pantry systems and garage systems. My calm, non-judgmental approach is what my clients comment on most. I offer support and creative solutions for overwhelmed, busy homeowners who want to live more organized lives. For those who want a total transformation throughout their home, I am certified in the KonMari Method, which is an approach to simplify your life by only keeping what sparks joy. I do organizing and decorating in residential spaces. The amount of detail put into my work is what brings forth the style and vibe one wants in their home. I start by using what is already in the space, the solid pieces that will bring vision to other pieces needed to complete the particular style and function of the space. For the things that do not work in the space, I try to find ways to repurpose items before having clients let them go. Moxie Space was created to bring together women who are passionate about Organizing, and to provide our community with the best match for their projects. Our team of Professional Organizers are background checked, insured, and trained for any area of your home or office. As a team, we meet weekly to share ideas, learn new techniques, and lift one another up. Our clients can expect to receive this same type of support. The diversity of our team allows us to offer general organizing, as well as niche - and we offer digital organizing, too! We approach every project with excitement, acceptance, and keep privacy at the very top of our list. Each job begins with a free consultation and a Client Services Agreement to maintain legality, confidentiality, and commitment for both parties. Moxie Space is a registered LLC. To learn more, visit us at moxiespace.com or find us all the social media channels! Austin Organizing Solutions was created in 2006 because everyone needs a little help sometimes. Do you find yourself avoiding inviting guests over because you are embarrassed to let them see your home? Do your guest quarters look like a storage room? Are you tired of being late everywhere you go because you cannot find your keys? Does your ADD keep you from finishing just when you are ready to get started and conquer? Is it time to move, to downsize, to simplify? We all have great visions. We all want that sanctuary to come home to each day. We all want life to be just a little less chaotic. I am here for you. I a member of the National Association of Professional Organizers both the local and national chapters and backed by all my amazing clients over the last 10 years. I provide uplifting, non judgemental, efficient, exciting skills to help you reach your goals and make your visions reality. We help San Antonio homeowners transform everyday frustration into joy. Our custom pull‐out shelves bring you more space and access—making your life organized. ShelfGenie is a national franchise that provides homeowners with organizational Solutions, like Glide-Out™ shelves. Our Solutions bring more space, access, and organization to clients’ homes across the U.S. and Canada. Each of our Solutions are custom made and handcrafted to find our clients’ existing cabinets. This allows our clients to transform their space without having to get a renovation. Our Solutions make each of our clients’ lives easier, and help them to truly love their space. 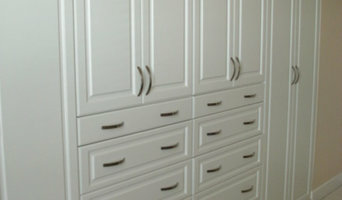 Texas Custom Closets designs, builds, and Installs custom closets. We also do murphy beds, offices, garages, and any other house organizing solution. I understand how overwhelming and hopeless it can feel to tackle a cluttered area sometimes. I love helping others feel more organized. I know the difference it has made in my life and love to teach and share with those who need it. I bring a fun and non-judgmental attitude to every project and I love working with my clients through the process of purging and organizing for permanent functional and aesthetically pleasing solutions. Contact me if you would like to talk more about getting organized! I would LOVE to help you! *Authorized Inspired Closets Dealer* Our Founder and President, Craig Maxwell, started Maxwell’s Closet Classics in two 10x20 storage units in 1997. Craig incorporated his family name into the business knowing he would uphold the highest of business standards, while at the same time attaching his name to superior products at a fair price. Craig treats ALL customers as he wants to be treated, with integrity and respect. Maxwell's Closet Classics is a family owned business, (not a national franchise), manufacturing locally from sheet goods. Maxwell's Closet Classics does not have prefabricated components shipped in from out-of-state, thus supporting our local economy. Our employees, or "extended family", as Craig likes to think of them, have been with us for many years. A couple of examples are Mac Fernandez and Sherry Halley, who have both been with Maxwell’s Closet Classics for over 14 years. After many years of working part time during summer break CJ, (Craig’s son), joined the team four years ago and has moved into a position as General Manager of Operations. CJ takes amazing pride in everything he does, with a passion for his work that rivals that of his father. Let Our Family Help Organize Your Family’s Life. Our Promise to You! We believe that the client comes first. We will exceed your expectations! Discount Shelves That Slide is owned and operated by a local husband and wife team. We pride ourselves on a simple Code of Ethics: We treat you like family building friendships One Client at a Time! *** Our product is ordered directly from the manufacturer. This no middle man approach saves you Big Bucks! Built with dovetail construction out of 9 ply Baltic Birch, steel glides and mounts, melamine coating and expert installation. And guaranteed for the life of your cabinets. We will meet or beat any proposal you have. That means you can save up to 40 % off the big NAME BRAND! Organizing has been my passion since I was a child. If you have clutter, I would love to hear from you and help you with your vision. i have been organizing for almost 20 years making my passion in to a full time job. You not only would get my 20 years of experience but my creativity and unlimited awesome ideas for your home that would transform any space into a clutter free clean space. I create and organize systems for each of my clients to make it easy to maintain and stay organized for as long as they want. Give me a call for a free no obligation consultation and to get to know me in person. I love questions and learning more about how I can be a help to any body that need my service. Thank you for taking the time on reading my message to you. At Steele Organizing we work with busy homeowners to organize their space, time and technology so they can focus on their passions. We work with individuals and businesses onsite in the Austin, Texas area or virtually anywhere. Contact us today to schedule your free phone consultation. Over 16 years experience organizing and designing shelving for closets, home offices craft spaces, garages, kitchens, pantry, businesses, entertainment rooms and storage. I am an expert in Elfa products, design and installation. With an engineering background and being mechanically inclined, I am able create unique solutions. I will: Unpack and Organize your new Home Organize all areas of your home Maintain your organized spaces through regular visits Repurpose a space after a student has left for college Downsize from a large home to smaller living space Transition spaces from toddlers to teenagers Stage your Home for Sale Move Seasonal wardrobes and interior decorations Have an idea for your home? Want more space? 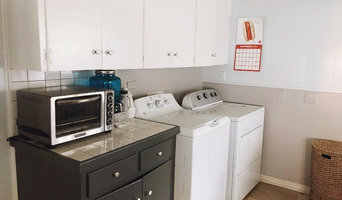 Areas in the home need a change or in need of order? I can help with it all. Before hiring a professional organizer, consider exactly what you need. Have you just moved into a Jonestown, TX home and have no idea where to put everything? You may want to consider an organizer who specializes in room-by-room space planning or estate organization. Perhaps you’re faced with a tiny closet and an overflowing wardrobe. In that case find a professional who focuses on closets to help you get back on track. Also consider the types of objects that need organization. Are they items like books, family photos, files or collections? You’ll want a professional organizer who has experience designing custom systems with Jonestown, TX companies that will best fit your needs. Find a professional closet and home organizer on Houzz. Narrow your search in the Professionals section on Houzz to Jonestown, TX closets and home organization.